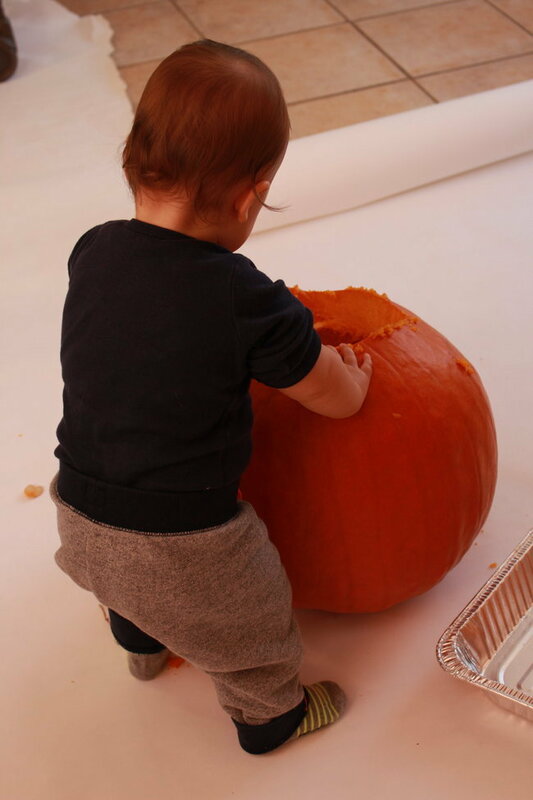 Halloween Activity for a 1 Year Old – Simple, Easy and FUN! Think your 1 year old is too young to participate in any kind of Halloween activity? You just need to keep it simple. It doesn’t take much to amuse a 1 year old if you just think on their terms. If you’re looking for a simple, easy and fun Halloween activity to do with your little one, consider this. It ain’t original – but it’s fun as hell! I don’t know about you but my little guy LOVES getting dirty. The dirty the better. Messy? Bring it on! I used a big roll of white paper (actually, the same white paper I used to create my very own backdrop for my son’s first birthday cake smash – I knew it would come in handy somehow again) and laid it out flat on the kitchen floor. Knowing my son, I gave us lots of extra room. Instead of white paper, you could also use plastic or even a bunch of garbage bags piled up together. 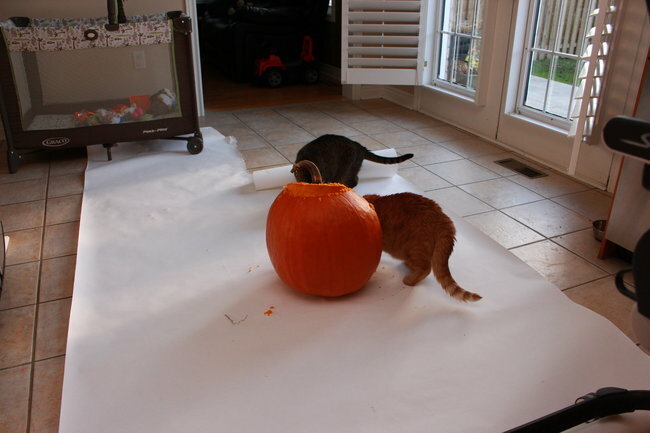 Then I sawed off the top of the pumpkin (without the little guy around, of course). He went right at it! No hesitation. All excitement. We emptied the pumpkin right out and now it’s ready for me to carve tonight. Status today? Brody’s clothes are soaking in the laundry sink. So what’s this Halloween activity for a 1 year old called? 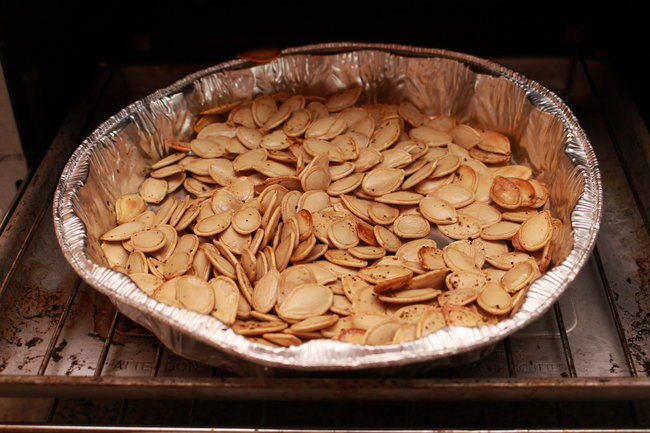 Empty all the goo and seeds out of the pumpkin. Oh, and if you feel like it, save the seeds for a delicious roast with avocado oil, sea salt and pepper. Mmmmm. Such a blast! And 100% worth the mess.